Thank you so much for all of your thoughtful and supportive comments about Louie. To know that some of you have made difficult decisions in the past for your much-loved animal companions gives me a lot of comfort. To know that you are thinking of me and Louie today helps me even more. I am dropping him off at 7am. He'll have the MRI, and then his surgeon will call me to let me know, based on the size and position of the mass, whether going forward with the surgery is advisable. Needless to say, today is going to be rough. I am not sorry to see 2010 end. This year was better than 2009 in a lot of ways. 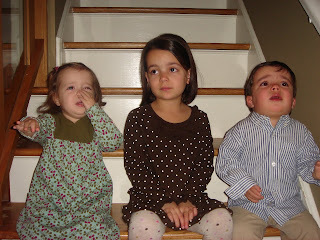 I am no longer parenting three under 3 (and a few months). This is not to say that parenting twin toddlers and a precocious preschooler is any easier, but I now have three kids that sleep through the night. 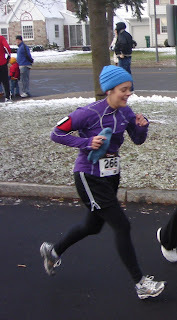 In addition to emerging from the twinsanity of sleepless nights, 2010 was the year that I finally started running competitively after 7 years of running purely for fun. I ran six races: four 5Ks and two 10Ks, and ended up grabbing second place in my age division in one 5K and 3rd place in my age division in one 10K. I ran a 23:21 5K, which isn't super-fast, but it's a time I'm really proud of. Of course, I never did run the September half-marathon I trained for all spring and summer. A double calf-strain sustained in August trashed the months of hard work I put in to getting ready. But with some perspective, I'm now able to see the positive in my training. I ran 10 miles twice. I ran 11.5 miles, my last long run before getting injured. One year ago, I never thought it would be possible for me to run that long. And I did it, and at an 8:36 pace. I know I would have run a 1:50 half-marathon. On May 1st, I hope to prove that I can. But 2010 has been tough. I'm now almost 4.5 years into this parenting while working somewhere between part-time, and three-quarters-time, sans childcare, and I still cannot figure it out. I am stressed a lot. I work too late at night, which leaves me cranky and severely lacking in patience the next day. I love my kids but most days, I would give anything for someone to take them out of my house for a few hours every day to give me some peace. I believe I would be a much better mother if I worked a traditional FT job. I am not cut out to be with them all day, every day. The work-life balance remains elusive. But in September, when Luci and Nicholas head to preschool three mornings a week thankyouJesus, and hopefully, Isabella is able to begin morning Kindergarten (in my district, you can request AM or PM Kindergarten, but are not guaranteed your choice) I hope some semblance of balance will emerge. Thank you for your support, your kindness, and your readership this year. Your comments bolster me in ways you can't even imagine. It hasn't been a sunshine, rainbows, and puppies kind of year here, but perhaps in 2011, a little light might seep in under the door. On Thanksgiving morning, I came downstairs early before anyone else was up, as I normally do. I went into my office and on the ottoman that sits in front of the big chair on which I do most of my work, one of my 12-year-old cats, Louie, was snuggling with his mama, Chubbie. This is where I usually find the pair in the morning. Usually, Louie runs away as soon as I enter the room. He is, to put it mildly, a very shy and anxious kitty and always has been. That day, though, he didn't, so I seized the opportunity to pet him. And that's when I discovered the lump on his collarbone area, just behind his neck. Louie is a long-haired cat. 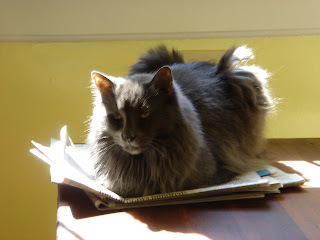 His fur is very soft and dark gray. To look at him, you would not see the lump. But under my hand, it felt huge. Our vet's office was closed for the holiday until Monday. The hubs and I made an appointment for Louie on Monday morning and saw our vet's partner that evening. Louie had not been in our vet's office for over seven years. He so loathed his visits that after a horrible episode during his yearly checkup in which he was literally screaming and jumping up the walls to try and escape, I vowed to never again put him through that. Our vet has made annual house calls for all my cats' yearly checkups from that point on. The vet did not sugar-coat things for us. After an exam and an attempt to extract cells to look at under the microscope, she said she suspected vaccine-associated fibrosarcoma (VAS). The prognosis she gave us was not good. She referred us to a specialist, following bloodwork, which Louie's regular vet would come to our house to draw later in the week. After we received the results of the bloodwork, which showed healthy liver function and nothing else out of the ordinary, Louie and I visited the surgeon at the veterinary specialist's office. She suspected VAS as well, but would not know for sure until Louie had a biopsy performed. I agreed to have it done that day, and left him with her while I sobbed my way out of the building. I picked him up later that night. They had shaved the fur around the mass. It is about the size of a tennis ball. I must have missed it for months, and the guilt I feel for this is immeasurable. The results came back in five days. It was as everyone suspected: vaccine-associated fibrosarcoma. I immediately started Googling the disease. I joined a Yahoo support group for parents of cats with this awful cancer. The most awful thing about it is that as a responsible cat parent, I had my cats vaccinated every year. I did the right thing. And doing the right thing gave my cat this mass. This horrible, terminal disease. Either the act of the injection itself or the vaccine gave Louie cancer. It is very aggressive. The surgeon recommended surgery, followed by radiation and possibly chemotherapy. With just surgery, the cancer returns in most cats within a year. With surgery plus radiation, the odds are a little better. With surgery plus radiation plus chemotherapy, the odds of a cure are the strongest. As you might imagine, all of this comes with a gigantic price tag. I have spent a part of every single day since that initial vet. visit in tears. We have had Louie, his sister Claudia, and their mama, Chubbie, since Louie and Claudia were 8-week-old kittens in the spring of 1998. The hubs and I had just moved into our first apartment together. My childhood cat had passed away at the age of 21 the summer before, and I wanted another one. A co-worker posted about finding a pregnant stray cat who was about to give birth. She took her to her own pets' vet office, where the cat subsequently had a litter of 5 kittens. This co-worker was going to keep the mama; the kittens needed homes. A friend of mine and I went to check out the kitties. There were 3 that were not spoken for. She adopted one, and the other two were huddled together in the back of the cage, their paws around eachother. I couldn't bear to separate them, so of course, after a quick phone call to the hubs, who expected me to bring home 1 kitten, I ended up taking them both. And when the woman who found the pregnant mama cat decided not to adopt her several weeks later, I volunteered to take her too. And our family of three cats, Annie (whom we have always called Chubbie, because, well, she is), Claudia, and Louie (a trio my sister named after the author and characters of Interview with a Vampire) have been with us ever since. That was over 12.5 years ago. Louie and Chubbie are especially bonded. While our cats mainly stay away from the mayhem and insanity of the ground floor of our house during the day while the kids are up, preferring to sleep upstairs in our bedroom or downstairs in the basement, all three come up (or down) to spend time with me once the kids are in bed. Chubbie and Louie cuddle together on the ottoman in my office and keep me company while I work late into the night. They still give eachother baths, their paws wrapped around eachother. They are a bonded family unit who have never been separated a single night, other than Claudia's spaying procedure when she spent one overnight at the vet's office as a kitten. They are my first babies. I have had them for over a third of my life. So, for these reasons, I am spending money I do not have to try and save Louie's life. He's having an MRI followed by surgery on Friday, New Year's Eve. It is not a cure. I am not putting him through the recommended radiation and chemo for a number of reasons. The closest place for this treatment is two hours away, at Cornell. He would need three weeks of 4x a week radiation. I would have to drive him there on a Monday, leave him for a week, pick him up on Friday, and repeat this process two more times. This is too much for a cat who has left our house twice in the last seven years, both of which were vet trips in the last 4 weeks. He is a highly stressed, anxious, cripplingly shy kitty on his best day. This cancer is so aggressive that it returns in most cats who have the surgery with no radiation. But I cannot do nothing. I can't take this terminal diagnosis and not do something. I want to give him a chance to beat cancer. And I say "I" and not "we" because the hubs does not agree with my decision. He does not want Louie to have this very expensive surgery because of the low success rate. He has always thought of the cats as my cats, and not our cats. The dissent has not been good for us. Right now, Louie is the same cat he has always been. He's eating and drinking, playing and snuggling. You would never know how sick he is. Here he is enjoying his Christmas catnip toys with Claudia. But if I do nothing, he won't stay like this for long. And I cannot look at him, this sweet cat who has trusted me to take care of him and keep him safe for 12 years, without knowing that I tried to help him. I realize how ludicrous this might sound to people without pets, and even to some with them. To spend a large amount of money on surgery for a cat, a surgery with a very low success rate, has probably left some of you thinking I am insane. But I don't surrender easily. I've fought many a medical battle in my life, and I've beaten the odds, when many doctors didn't think I would. I want, no, I need, to give Louie the same chance. If you're the praying type, the lighting candle type, the positive thoughts type, or the sending good vibes type, please think of Louie on Friday. And thank you for slogging through this post, and all my misery-ridden posts of late. Someday, I hope to turn the corner. Today is not the day to elaborate, what with the Christmas Eve business and all. Next week, I'll come back here and share some of what's been going on. But when you have kids and you're Christmas people, and it's The MOST WONDERFUL Time of the Year, there's not a whole lot of time for sitting around and moping. You make the month as special as you can muster up the energy for. You buy the tree, you visit Santa, you bake the cookies, decorate the house, read the holiday stories, watch the specials on television, and hope like hell that your kids don't notice that you can't wait until this hellacious month is over. I've never liked December. It's the annual Holiday Spreadsheet of Debt. The non-stop shopping and spending. The fake cheer. The massive commercialism. The buying of gifts people neither want nor need. The annoying Facebook updates from friends who LOVE Christmas and like to tell everyone exactly how much they love it, and how storybook their lives are day in and day out for the entire month. Honestly, as soon as the calendar flips to December, I am looking forward to January. At least it's okay to be cynical and moody in January. At the beginning of the month, we bought a tree. I started the annual Advent Calendar ritual, which was a great idea when there was only Isabella, but is now a pain in the keister with three kids. 25 mini "presents" each, for every single day from December 1st to the 31st. I've taken to filling their calendars' drawers with Cheerios each morning. Hey, "austerity" isn't the Word of the Year for nothing. Santa rode through our neighborhood on a fire truck, as he does every year. 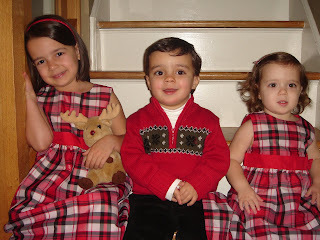 Nicholas and Isabella were happy to see him, sit on his lap, and receive a candy cane. Isabella and I went to my MIL's company's "Lunch with Santa," where I witnessed her getting inked by an old lady in a Christmas sweater vest. Fortunately, the results were professional. We took our annual trip to a local garden store's Christmas! Spectacular! Trains were watched and ridden. Another visit with Santa was attempted. 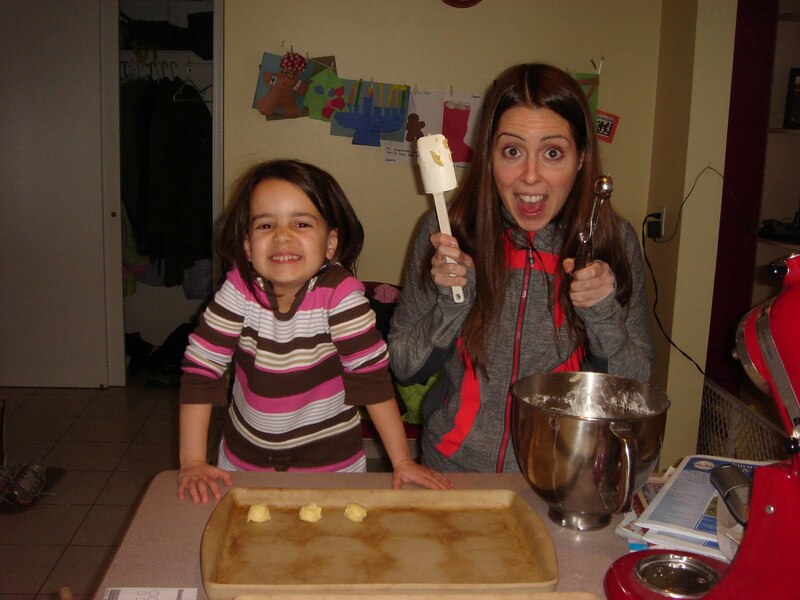 And then there was baking, frosting, and decorating of cookies and of gingerbread train (minus the baking). Isabella decorated a little over two dozen cookies. What was over last year in about 20 minutes took her two hours this year. She quite literally decorated them, putting non-pareil "ornaments" on the tree cutouts, faces on the snowmen cutouts, etc. Oddly, she asked to eat none of them. It was all about the process for her. Then it was on to the gingerbread train, on which she spent another hour, completely on her own, decorating the train. The experience was marred only slightly the following evening, when for reasons still unknown to us, Isabella decided to stuff one of the leftover candy balls up her nose to "keep it safe." There it lodged, and there it remained until it dissolved somewhere in her nasal cavity. Aunt Karrie arrived on Tuesday night. 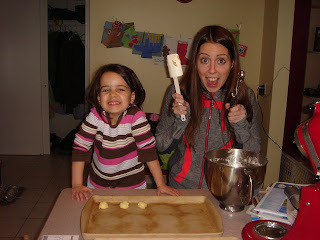 More baking ensued. And then there was bobsledding through the kitchen, of course. I'm taking another break (although lately, it's like it's been one long break around here), but I will be back next week. Until then, Merry Christmas and happy everything, awesomely loyal readers. You've made my year in more ways than one, and I'm happy to know every single one of you. When Isabella was exactly the age the twins are right now, Luci and Nicholas were born. That's startling to me, because when I look at the two of them, I still see babies, which means that she was a baby, too, when they arrived. And then I really question my sanity about having my children relatively close in age. What was I thinking? There are positives to close-in-age children. There are negatives to widely spaced kids. But if I had to do it again, I think I would have waited until Isabella was at least 2.5 before doing the FET. I really think my life would have been a hell of a lot easier. Nicholas continues to be a funny, charming, and simultaneously maddening and "spirited" child. His vocabulary rivals Isabella at this age. He speaks in full and complex sentences ("Yay! Nickey took a nap! Santa is happy and mommy is happy!") -yes, he is taking about one nap a week now, which is better than the previous 30 days during which he did not nap once. I'm not sure what I'm going to do once Christmas is over, and I can't threaten him with an angry Santa anymore, but I'll cross that bridge when I come to it. Every single morning, he asks to wear a red shirt. "Nickey wear a red shirt today?" and at least 20 times a day, he asks me, "Mommy, what we having for dinner?" And I'll tell him, "chicken" or "macaroni" and he'll say, "what else?" The boy loves to eat and loves to talk about food. He is still prone to inexplicable crying fits. I find myself treading on eggshells a lot around him, desperately trying to keep him on an even keel and from flying into one of his rages, which last 20 minutes or longer. You would never suspect this behavior from him unless you spent as much time with him as I do. When the people in the gym daycare mention how awesome he is, how loveable and how sweet, I agree with them because he is. They are then shocked to hear that he has this other side of his personality. I'm going to chalk it up to being two and hope it goes away really quickly. He loves books and is always asking me to read to him ("Mommy, sit on couch and read Nickey Clifford book?"). When I rock him to sleep, he asks for his stories, which I've made up for his bedtime ritual ("Nickey in the Forest with Bunnies, mommy?" or "Puff, Puff, Puff, Puff" (loosely based on this book). Nicholas loves to run up to me and spontaneously kiss my leg, and he loves to bring me things ("Mommy, get you coffee. Be right back!"). And when he's pleased about something, he'll literally shout, "Happeeeeeeeee!" at the top of his lungs. Luci is very tuned into the potty business. She likes to follow Isabella into the bathroom, and as soon as she has a dirty diaper, she'll tell us to change her. She also has picked up on Isabella's potty talk lately. Awesome. The phrase "Looks can be deceiving" was coined for her. She appears small, sweet, and completely angelic. 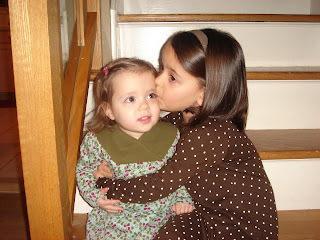 But in reality, she is the dominant twin, and she knows exactly how to push Nicholas' buttons. If he says his standard line each morning, "Nickey wear red shirt today?" if Luci is feeling particularly hostile, she'll say, "NO red shirt today, Nickey! ", which she knows will make him scream and cry. And he does. Luci loves playing with dolls, and heavily covets the Baby Alive monstrosity that mamacita gave Isabella for Thanksgiving (yes, Thanksgiving). Isabella no longer takes it out of her room because she doesn't want Luci to "run down the batteries." Fortunately, Santa heard the pleas of the tiny terror and is bringing her one (who speaks Spanish!) for Christmas, and who incidentally does not require diaper changes because the "feeding" is simulated. She is an awesome sleeper, often sleeping from 7pm until 8 or 8:30am. And when she wakes up, she just sits in the corner of her crib, holding her stuffed bunny, and waiting until I show up to get her, never uttering a peep. Her naps are generally good too. Mama loves a baby who sleeps. Luci is not as verbal as Nicholas. I would say she is about 1-2 months behind him, although she's steadily improving. She loves to sing the Luci version of "Tomorrow" from the Annie soundtrack, "Tomorrow. Tomorrow! I wuv ya, tomorrow. Only a day A-WAY!" and she knows and sings lyrics to several Christmas carols as well. The dynamics between the two of them right now are not good. There is a lot of fighting over things. There is a lot of physical contact. When they're side-by-side in the double stroller, they often pinch each other's faces or pull hair. And yet, none of this occurs when we're outside the house. So, I make it a point to be at home with them as little as possible during the day. Going out with three of them is still challenging, but it's getting easier. I have taken them to the museum and library a few times recently on my own, and have realized that it's a whole lot easier than it was even a few months ago. I still have to mainline the coffee before heading out the door, and it's far from a breeze, but we're getting there. Every year, it's the same story. 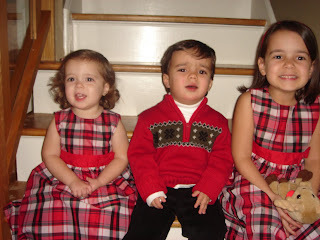 I, having apparently blocked the memories from previous years, attempt to orchestrate group photo shots of the kids dressed in their holiday attire. The results are never good, I turn into a screeching, manic harpie because ForTheLoveOfGod,WhyCan'tYouJustSmileSoWeCanGetThisOverWith?? ?, and both the hubs and I are left wishing we had a bottle of vodka (each), and some home bar furniture to relax on and drink ourselves stupid. Our Thanksgiving and holiday photo shoots this year stayed true to form. 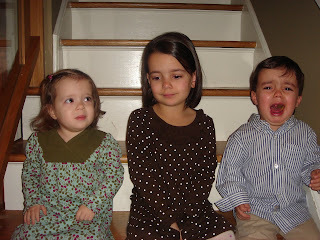 The twins were in foul moods on Thanksgiving. Isabella has never liked having her photo taken and resists any and all attempts to take her picture with a level of complaint similar to those about to undergo a root canal. There is whining. There is crying. There is gnashing of teeth. After so much success (ha), we broke out the pumpkin muffins I had made earlier in the day. Here, Nicholas decides that one was not enough for him, and storms off set like the diva he is. 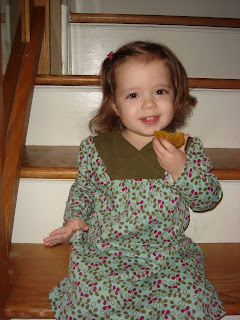 And then we decided to just give the kid another damn muffin, because at that point, I was losing my mind. "Put that mouth near my muffin and you'll receive a swift jab to the ribs, sis." I was able to snag two good pictures from 45 minutes of sheer hell. We fared slightly better for our holiday card shoot. Either that or the heavy drinking I did beforehand has made me forget what it was really like. And, the only decent shot of all three, which became our card this year. Mom or Dad: "Okay, Ben. Time to take the holiday card photo. Go stand by the tree and smile." Mom or Dad, two seconds later: "Great job, Ben. We're done!" What do you do to get good holiday pictures of your kids? Once again, I am late with this update. My blog is turning into monthly updates on my kids and little else, but my current work schedule is sucking every last second out of my day. BUT, in a few weeks, I will have a break, and then you can expect daily (no, hourly!) posts from me, full of the social commentary long-time readers are accustomed to reading here. Okay, maybe I'll start with just a post a week and work my way up from there. On to things in Isabella-Land. The four-year-old with the big vocabulary is taking it down a few levels on the respectability scale lately. We have a lot of potty talk going on. She might be picking it up in school (certainly not at home, as our word choices are as lily white as the 17,000 feet of snow in my backyard right now). But seriously, the bodily function talk is annoying, especially coming from a little girl who has been highly verbal since the womb. Speaking of bodily functions, mamacita bought her Baby Alive for Thanksgiving. She's feeding the doll "peas." Guess what comes out Baby Alive's other end? Because exactly what I need right now is another behind to wipe. It's been interesting to watch her inter-personal skills develop over the last few months. She knows what to say and how to say it to get people to do what she wants. She wanted a red hat on the Athritis Foundation table at a recent 5K I ran in (the hats were for for those with Arthritis only,although I'm not certain how one would prove that in order to procure a hat), and so she sidled up to the table with me at her side, and coquetishly asked for a hat, acting shy when she wasn't, using a slight baby-talk inflection in her voice. The older ladies at the table wouldn't give up the goods, but they did hand her a candy cane for her efforts. Isabella, however, was more than a little annoyed that her "charm" didn't work. Isabella has been a big help around the house lately. Her favorite thing to ask me is, "Mommy, what can I help you with?" because she knows she will get heaps of praise from me for asking it. She's not a fan of setting the table, but will help make salads and everything else to do with meal prep, wash down cupboards, and pick up our disaster of a house before bed each night. She's always been a big fan of art projects, drawing, and painting, but in the last few months, it's really kicked into overdrive. Every bit of what I would call "trash" is now something she would like to save for an art project. We went to a friend's birthday party last month and ended up taking home her used plastic fork from cake, an extra paper plate, a bamboo skewer from the Edible Arrangements fruit basket, and an empty juice box, none of which she was willing to part with, and all of which she later affixed to an egg carton via a glue stick. Here she is hard at work at 7am one morning, making boats out of paper bags. I fully expect her to be dumpster-diving this time next year. I want to foster this creativity as much as I possibly can, but her art supplies are literally all over the house. 99% of them have to be kept out of Luci and Nicholas' reach, and therefore there is no central table to organize it all. Isabella continues to have a blast at preschool. She can now write her first and last name neatly and legibly. She's mastering letters not in her name as well. I think she's really going to miss school during her two week break coming up in other week.